Wonderful sightseeing. Very quiet. Near city centre. Friendly service. This establishment is only 150 metres from the famous UNESCO-protected bridge in Mostar (Bosnia) and boasts an on-site mini-museum showing exhibits dating back to the 16th century. This is essentially a guest house set in a lush and verdant garden, and it has a shaded terrace overlooking an ornate fountain and the orchard of fig, pomegranate and olive trees. A continental breakfast is available daily in the main building, but the dining room is in a traditional stone annex with wooden rafters and an open hearth. 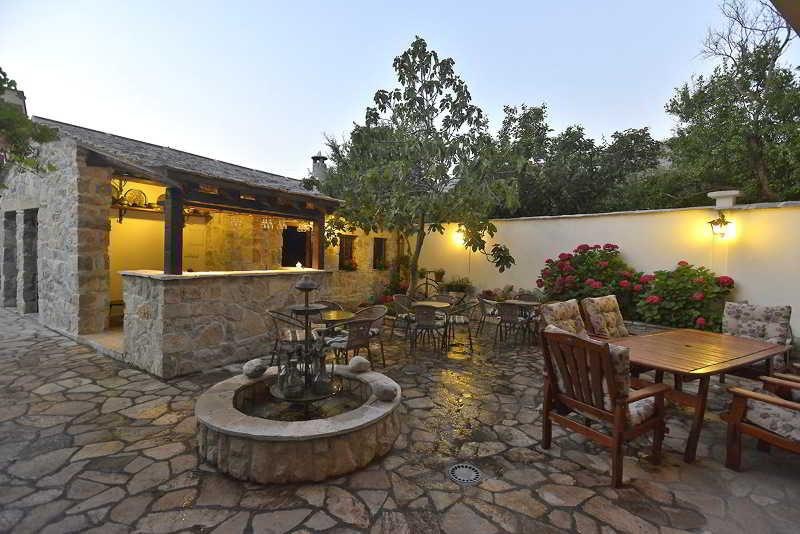 This restaurant serves Herzegovinian specialities accompanied by local wines, such as Zilavka and Blatina. The property offers guests fully air-conditioned smoke-free rooms and apartments, all of which have flat-screen TV and free Wi-Fi / Internet access. The English- and French-speaking staff will make arrangements for laundry and dry cleaning services. Quiet location. Secure parking on site. Free parking. Excellent accommodation. Close to the city center with easily acessible parking. Great rooms and fantastic service. Awesome vibe. Free car park. Great value. Free parking. Helpful staff. Private guide. Perfect English. Nice villa. Queen size bed. Tidy rooms. Great atmosphere. Made us feel special. Quiet garden. Lovely garden. Nice terrace outside.